My third visit to L.A. was much anticipated. I had four scheduled interviews in a two-day window for my Lloyd Kaufman documentary, three of which went off as planned. 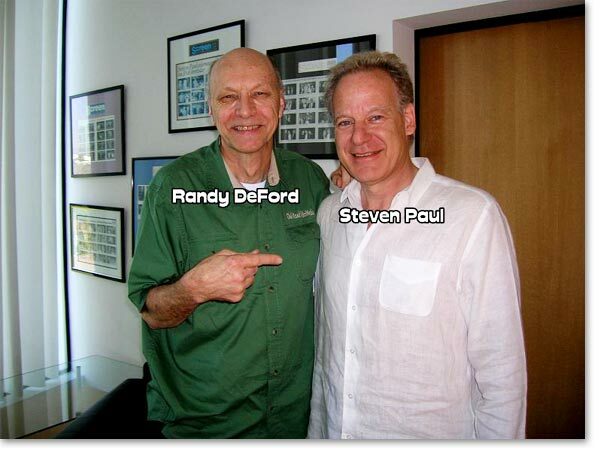 First up was the brain behind Crystal Sky Pictures, Steven Paul. They have produced the BRATZ franchise as well as the GHOSTRIDER films, featuring Nicholas Cage. His contributions to film include literally every discipline involved – acting, writing, directing, production, and distribution -- and he has been doing this kind of work since he was a young child in New York. After arriving, we found that the power to the building housing Crystal Sky and other offices had been cut off due to an accidental severing of a power line. This meant no elevator; so, a brisk climb to the 5th floor. The lack of power did not affect our interview since we were all battery-powered. It also allowed Steven more time to deliver a rigorous Kaufman query. Lloyd Kaufman - NEVER CHICKENS OUT!! What I didn't see coming was the roasting to Sir Lloyd that ensued. One of the more difficult aspects of the interviews for this project has been keeping my personal laughter to a minimum, as to not bleed into the microphone. Many of the targets have been nothing short of stand-up comedians. From Stan Lee to John Landis, the forthcoming wit was not anticipated. It has, however, all been a joy to capture and document. With each question concerning Lloyd's skill as a director and filmmaker came a lively connection concerning films Lloyd had nothing to do with, including the abomination by Mr. Paul that Stephen Spielberg had the brass to put his name on that TROMA classic E.T. At a point, about half way through the interview, Steven stopped and smiled and uttered, "I hope you weren't wanting serious answers." No… we weren't. He provided about 9 minutes of Kaufman roasting, suitable for framing. 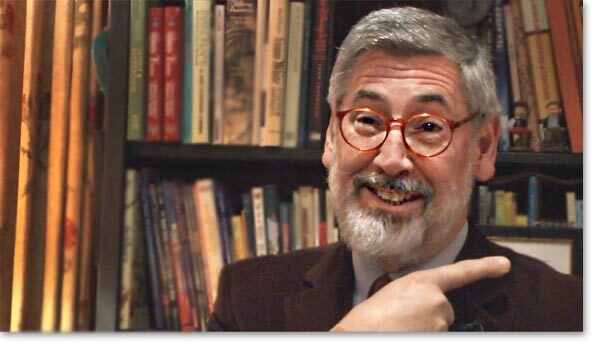 The next morning was our second interview, this time with director John Landis. 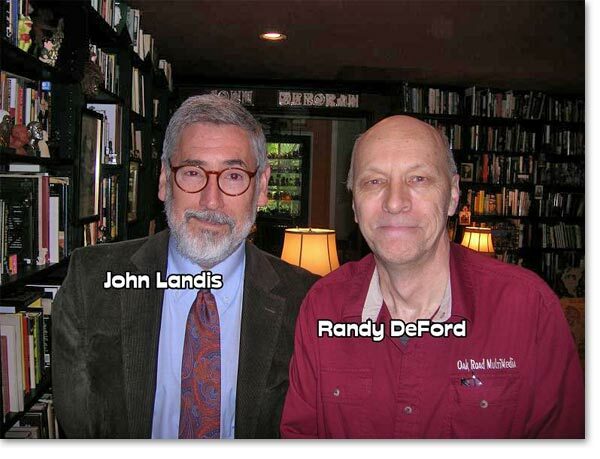 Classics such as Animal House, The Blues Brothers, An American Werewolf In London, Kentucky Fried Movie, The Twilight Zone, and The Three Amigos have all seen Landis' touch. John invited us into his Beverly Hills home in which his collection of historical figures could warrant their own doc. I did have to absorb some bit of questioning from John as to why I was spending my time to do this documentary on an old-school huckster who he sees in London, Cannes, Pittsburg, and, seemingly, everywhere else the airlines service and films are peddled. John has not worked with Lloyd, but knows him from the various cons and festivals he frequents, as well as Joe Dante's "TRAILERS FROM HELL", which Lloyd contributes to. His comments were more about his admiration of Lloyd's endless obsession with selling his TROMA brand and his unashamed approach that is neither for the shy or sheepish. 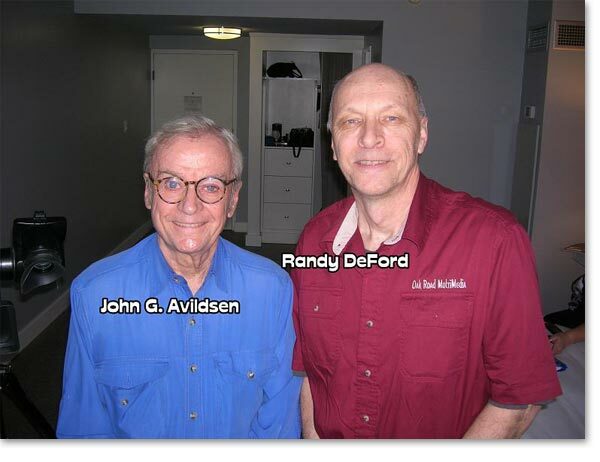 That afternoon was the crest of the whole visit--Director John G. Avildsen. 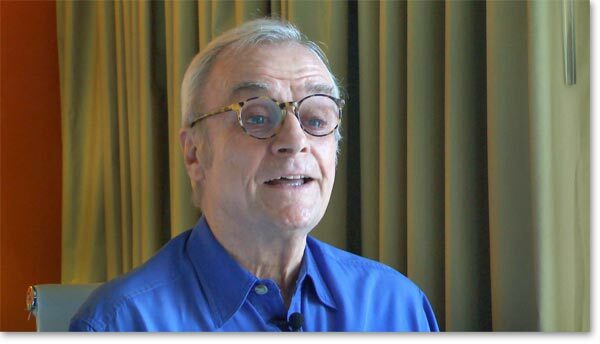 To me, all successful directors deserve their fair share of homage, but John Avildsen has created classic stories based around the underdog in all of us. A basic drive to excel even when the odds don't dictate that result. 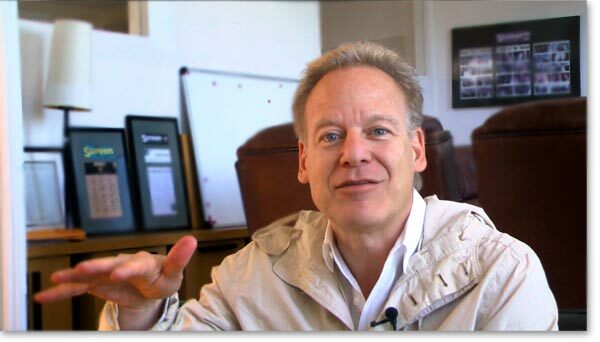 John's accomplishments include his Oscar for ROCKY, the film that gave birth to new methodologies for producing low-budget films, which grossed huge returns. 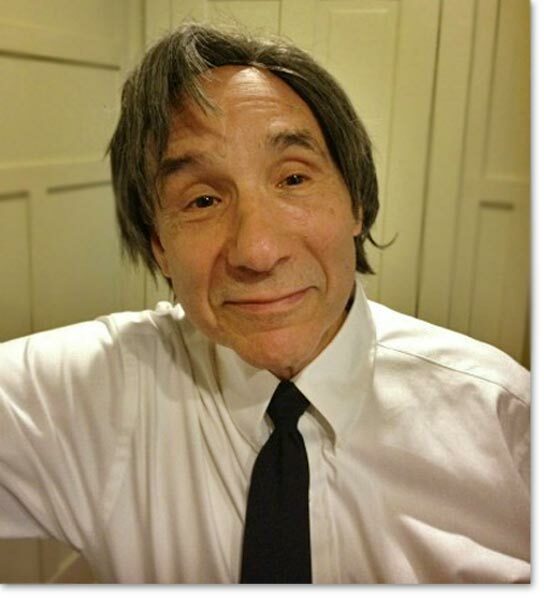 Lloyd Kaufman was a production manager for ROCKY and has worked with Avildsen several times. Avildsen also has the KARATE KID films in his pedigree, which have been the other timeless Underdog Classics, 8 years after ROCKY. He has worked with the most respected actors, from Marlon Brando and Morgan Freeman, to George C. Scott and Burt Reynolds. He also directed the film SAVE THE TIGER that snatched Jack Lemon an OSCAR in 1973. Other favorites include W.W. AND THE DIXIE DANCEKINGS and LEAN ON ME. John is affable… well spoken, alert and quick with a smile. He also tends to be someone who encourages and has no problem throwing a compliment. I have a field of 11 questions we throw at each participant and John gave us 10 minutes of succinct, well-timed answers. When we were done, he did a selfie video with me in the background, sending it to Lloyd, questioning why I was spending my time doing this doc and Lloyd should consider himself lucky. I now have eight great interviews, with more to come this year. If things go as planned, all my interviews will conclude in 2015 and then it's on to edit and post. Randy DeFord's Must-See video for Indie Filmmakers: How to Make Your Own Damn Movie Without A Crew! Hosted by Lloyd Kaufman, Master of the Inconceivable. Photos of John Avildsen, John Landis, and Steven Paul by Carol Caldwell. 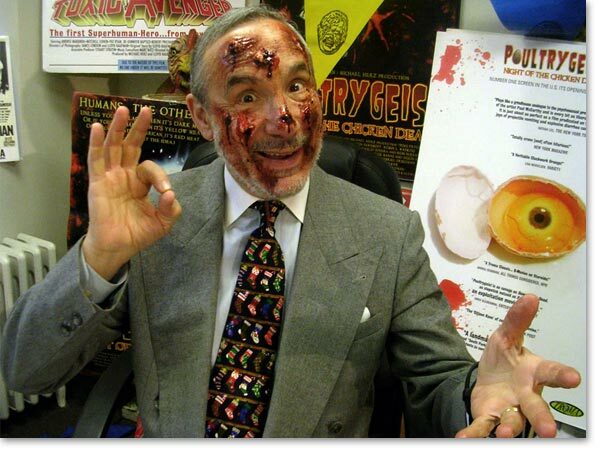 All photos of Lloyd Kaufman Courtesy of Troma.